Keep up with permits and surveys. Include them in quotes and work orders. 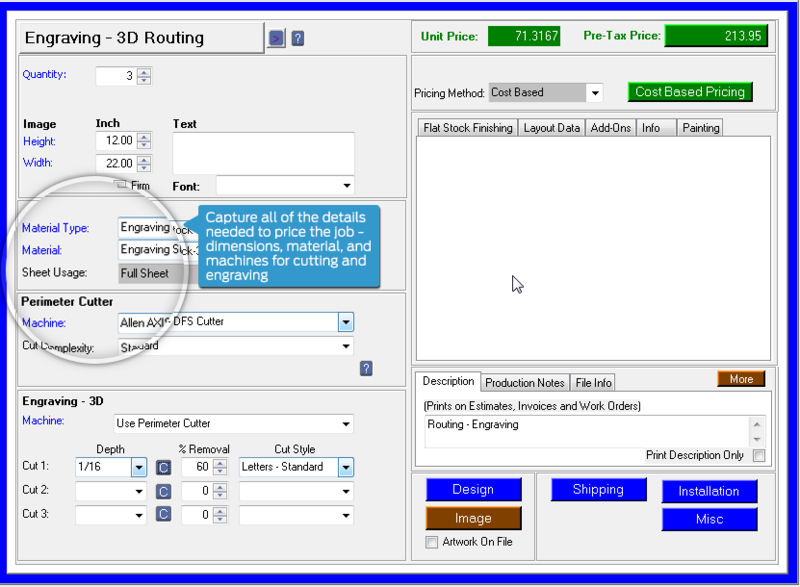 Capture all the details needed to provide a quote and create a work order for production. 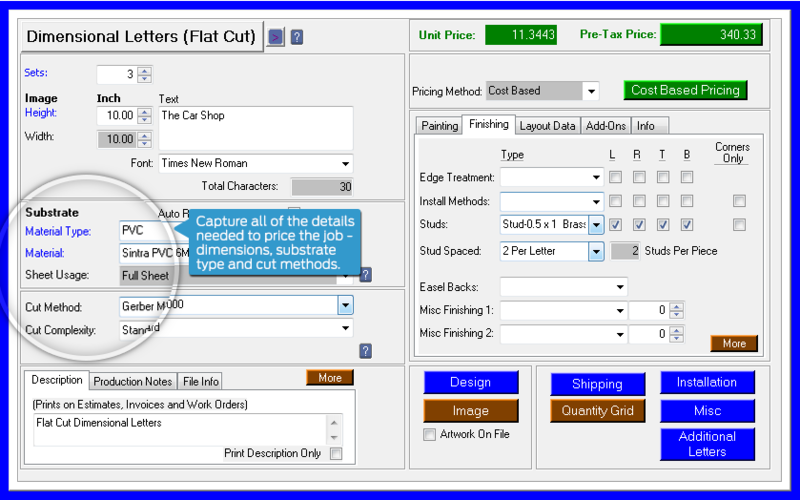 Capture dimensions, substrate and cut methods. We made a cost & quality decision to switch to Cyrious Control from our previous system. 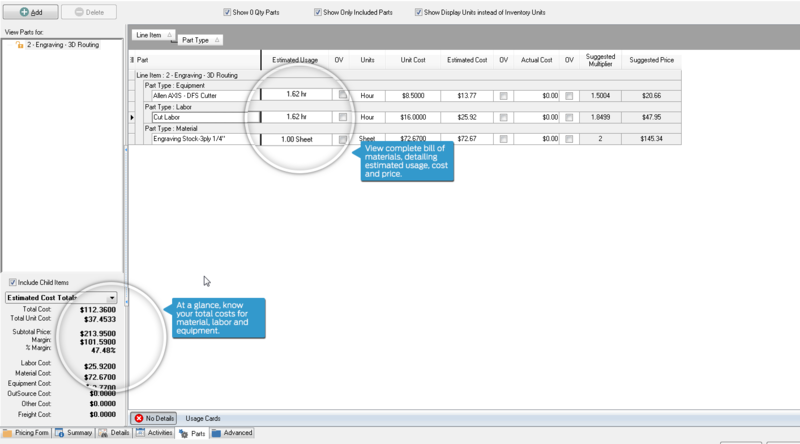 We’re using the system enterprise wide – utilizing estimating and production tools while monitoring invoices and accounts receivable.